Grado's ability to combine lightness with extreme rigidity and internal damping has been put to good use on the SR125e earphones. Based on the same design as the SR80e headphones, the SR125e headphones also features a further improved driver and cable design utilising UHPLC (Ultra-high purity, long crystal) copper voice coil wire. With the 8 conductor cable design you will notice improved control and stability of the upper and lower range of the frequency spectrum, with both better supporting Grado's world renowned midrange clarity. Again the driver's diaphragms are put through a special 'de-stressing' process in order to enhance inner detail. Bass, midrange and treble are all more open and you will enjoy the fine tonal spread and balance. 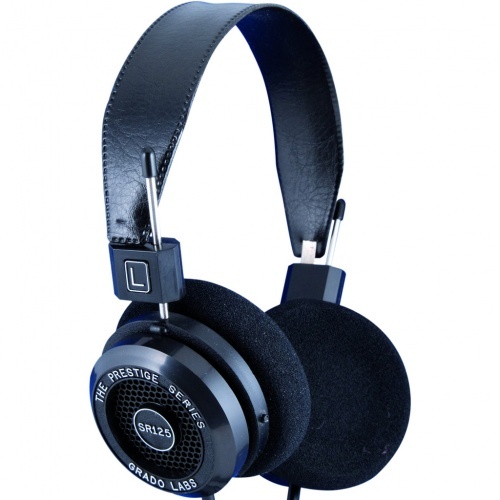 The SR125e is an open back on-ear headphone. The jack will fit into any modern day Hi-Fi system or music source, so that you can listen to music from any source you desire. The headphone is fitted with 3.5mm jack. A 6.33mm (1/4”) jack converter is included.